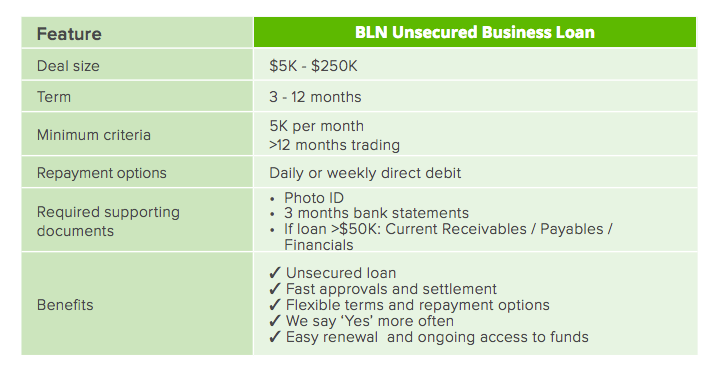 At Business Loans Now we offer unsecured business loans from $5,000 to $250,000. You do not need to provide property or other security to have your business loan approved. 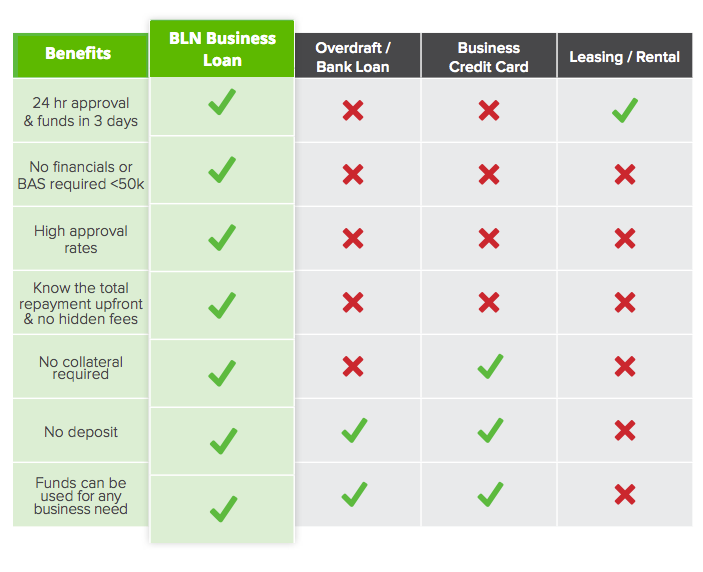 Our lending criteria is based on the trading strength of your business. 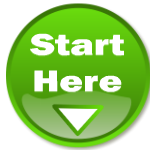 We offer a simple and straight forward application process with fast approval and fast settlement of your loan. You can have the funds you need within 24 - 48 hours. 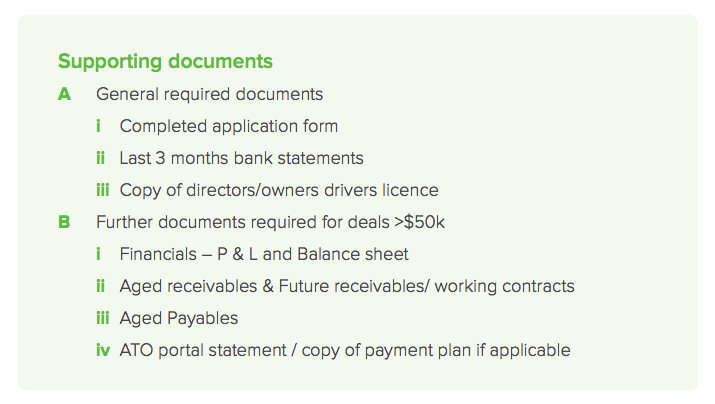 We also offer flexible repayment terms to suit your business cash flow. - Trading for at least 12 months (in some cases we will consider businesses that have traded for less than 12 months). 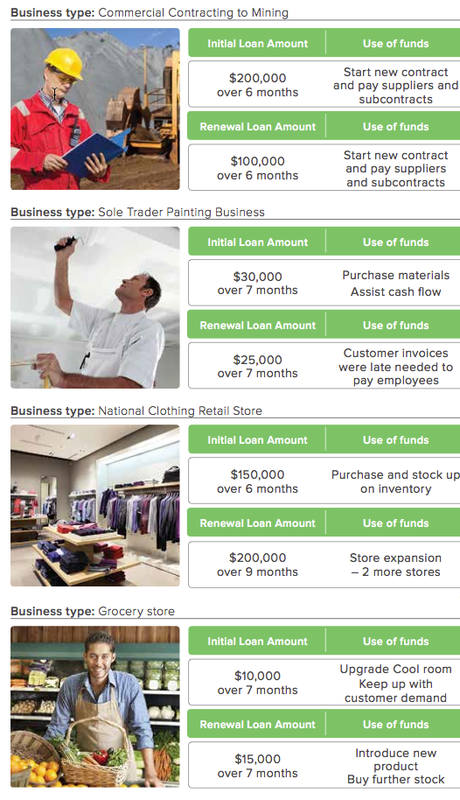 The interest rate of your loan depends on the strength of your business trading and your cash flow. The rate will be determined during the loan assessment process. You will be notified of the rate and repayment terms when a formal loan offer is made. The interest rate range is usually 15% - 25%. The term of your BLN Business Loan is usually between 3 and 12 months however in some cases this can extend up to 24 months. If you decide to pay the loan out early you can be offered a discount and you will not be subject to additional charges.